Originally appeared on Chatbots Magazine. First, go to https://www.dashbot.io/ and create an account. 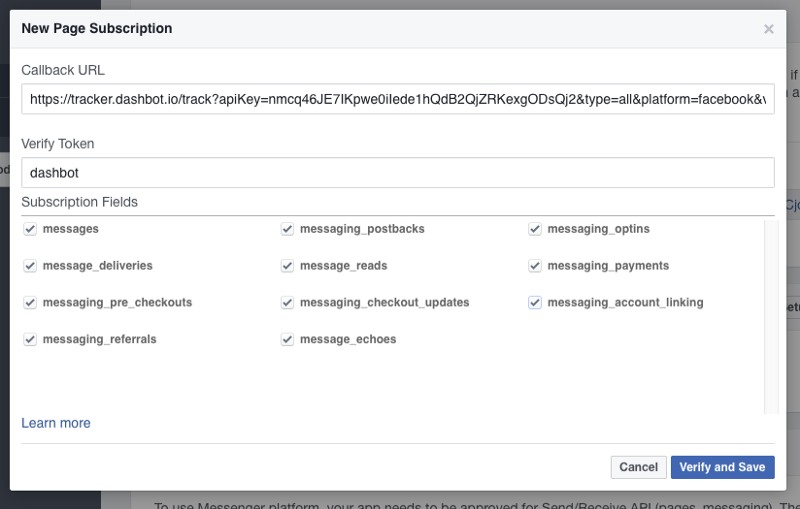 Create a Facebook bot, and save the API KEY. This will be the DASHBOT_API_KEY that you will use below. Then, go to https://developers.facebook.com/apps/ and “Add a New App”. Choose Category “Apps for Messenger”. 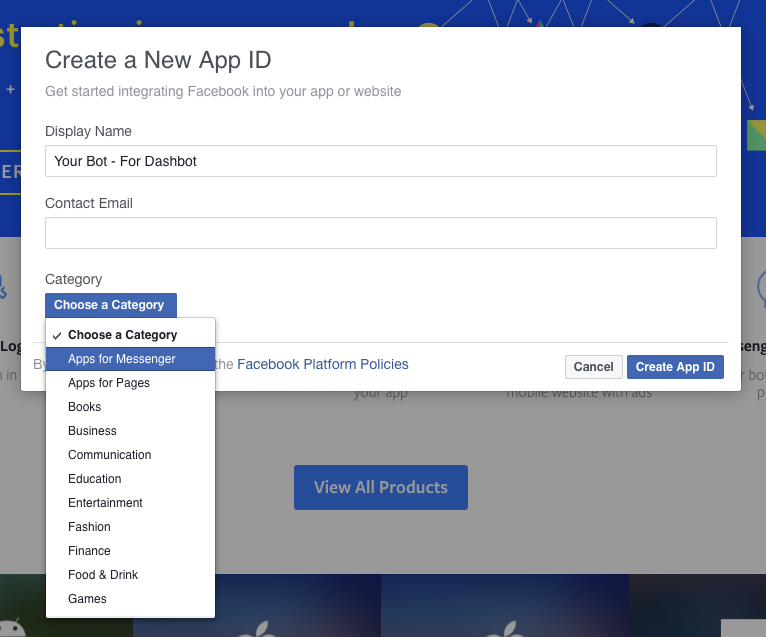 In “Token Generation” select the Page that your Bot is associated with, allow page permissions for this app. Save this token, this is the FACEBOOK_TOKEN you will use below. Do not submit this app for review. You actually do not want this app to be publicly available, since it only serves to echo the conversation to Dashbot. DONE! Go to Dashbot and look at your conversations! ** Actually, this integration works with ANY Facebook bot, regardless of what tool you used to build it. So, whether you’ve used Chatfuel, Dexter, Motion.ai, Message.io, Botkit Studio, or any other platform, you can use this integration!